The Mayans kept meticulous records of time, there is evidence they kept as many as 20 time matrices (we call them calendars) simultaneously. 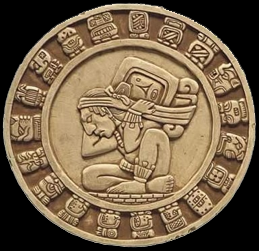 This particular cycle of the Maya, in my research I have found that between the years 3000 BC to 0 BC/AD, the average length of the year measured from the Spring Equinox was 365.2422 days which matches perfectly the length of year that using this time matrix creates. The purpose of this Maya time matrix of 1507 years is to align the Tzolkin, 260 days cycle with the length of the seasonal year, every culture in the world has used 1 point in the year to measure its year from, in this instance the Spring equinox fits the description. The Maya today still keep a count of days that has been recorded as far back as the beginning of the Long count in 3114 BC. Most of them count the 365 day year without leap-days, so that the standard year slips back every 4 years by 1 day roughly. However in order to keep track of the length of year and moment of alignment as a culture aligning their new year to a particular phenomena, in this instance the Spring equinox, the rising of the Sun directly East would have been their marker point. Personally I feel this is all evidence that they used a leap-day system, by simply always making sure the year started on the day of the Sun rising East, thereby using nature to guide them, and basing their time matrix on nature, as this is the standard way of the majority of our ancestors functioned in time. Also in my view the purpose of aligning with the seasons for the practical use of planting and working with the changing seasonal cycles having a time matrix that didnt slip back slowly would have been a benefit to the harmony and creativity of their culture. Indeed the same errors in time have been noted in several times in our history as causing stress to the populous when their "leaders" didn't actually use a accurate "calendar" time matrix. We as a planet right now still have this problem using the Gregorian calendar, though most people say its accurate enough, most of them dont have much understanding of the nature of time at all.